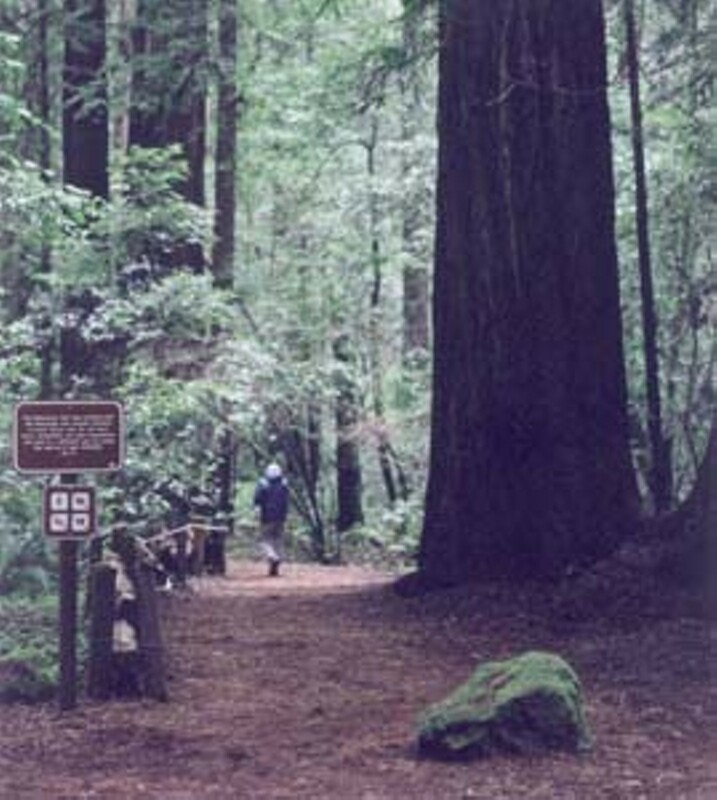 Armstrong Woods is famous for many things, those enormous groves of giant redwoods being the grandest of the state reserve's many glories. Unfortunately, Mother Nature's calm and magnificent grandeur is seldom as captivating to youngsters as it is to the stressed-out adult types you routinely see at the reserve, standing with their eyes closed, taking slow therapeutic breaths of cool, shadowy air. Fortunately, the park features a neat, interactive "display" that, even though it was not designed with children as its main focus, manages to appeal to kids' most playful, hide-and-seekish inclinations. The Tactile Trail is a hands-on self-guided tour that meanders up and down through a quarter mile of forest. The cool part is that you can take the tour with your eyes closed. Created for the use of sight-impaired visitors, the trail ingeniously employs a length of smooth cable, suspended about waist high from a railing. By following the cable, you are taken through the trees up onto a porchlike platform where you can caress or embrace one especially large, moss-covered redwood and step in and out of dappled sunlight. At regular intervals are information stations, where you can read, in Braille and in print, about the surrounding flora and fauna, and even pick up a few historical tidbits--and yes, kids will get to open their eyes at these little "reading intervals," which makes the whole experience a little less scary and a bit more educational. It is not unusual, at the end of the trail, to hear the excited voices of children saying, "Let's do it again!" Fortunately, the trail ends where it begins, so repeat trips are easy. 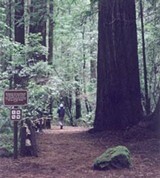 Armstrong Redwoods State Reserve, 17000 Armstrong Woods Road, Guerneville. 869-2958.